From the smallest entry way to the largest home, we can take care of your hardwood flooring needs. Give us a call today for a free quote! Proudly serving the Shreveport and Bossier areas since 1993. We specialize in the installation, sanding and finishing of new hardwood floors. 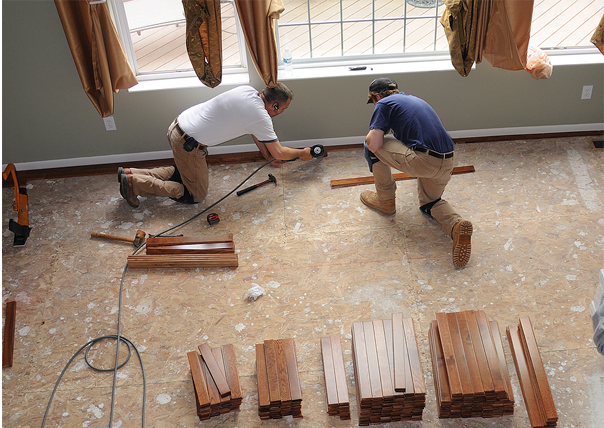 We can also handle the repairs, sanding, and finishing of existing hardwood floors. Whether it’s an engineered wood floor to be glued directly to a concrete slab, or a solid wood floor to be nailed down to a wood sub-floor, we can handle all aspects of the job! Whether your job is in Shreveport, Bossier, Minden, Mansfield, or any place in between, give us a call for all of your hardwood flooring needs. Southern Hardwood Floors | Licensed and Insured. ©2019 Southern Hardwood Floors, all rights reserved.